After last year’s failed attempt at finding a recipe for my favorite soup, I thought I’d never be able to make not just a decent broccoli cheese soup, but a really good version. 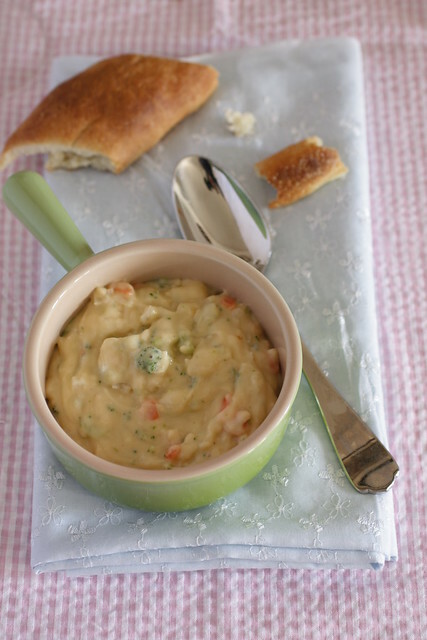 It had to be thick and creamy – perfect for dunking warm bread – with a light taste of cheddar and some generous chunks of broccoli. Then I made an outstanding beer cheese soup, and I realized there was hope. The secret, I suspected, was to use a combination of cheeses, similar to what I had done in the beer cheese version: some extra-sharp cheddar for flavor, and a mild melty cheese for texture. Turns out I was right. Out of curiosity, I looked at the recipe I used last time. It really wasn’t that much different. I actually used more cheese this time, but substantially less cheddar. 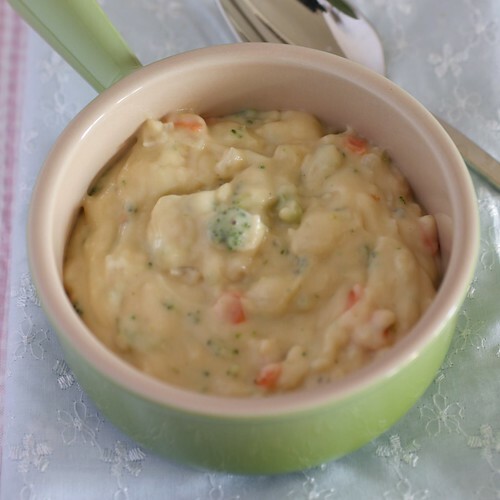 All it takes is a quick look at the pictures to see that the broccoli cheddar soup I made looked kind of like Cheez Whiz with bits of broccoli, whereas this new soup looks like the broccoli cheese soup we’re all used to seeing – and tastes like it, too! If you currently have cool or rainy weather, might I suggest a bowl of this soup? For more intense cheddar flavor, play around with the proportions of cheddar and monterey jack. Heat butter over medium heat in large pot or Dutch oven. Add the onion and carrots and season with salt and pepper. Saute until onions are translucent and soft. Add flour and stir with a wooden spoon until it loses its raw flour scent, a minute or two. Slowly whisk the milk into the onion mixture. Slowly add the chicken stock, whisking constantly. Add the broccoli and mustard. Increase heat to medium-high and whisk until thickened, about 10-12 minutes. Remove from heat and whisk in cheese, a handful at a time. Taste for seasoning, add salt and pepper as needed. Serve with warm bread or croutons. *Any mild cheese that melts well will work. Man that looks so tasty! 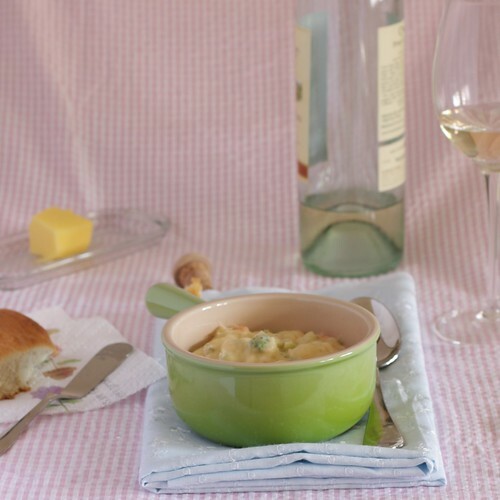 Broccoli cheese soup really is my favorite but I can never seem to make it right, can’t wait to try out this recipe!